Really surprised at how delicious this soup was! It didn’t look too out of the ordinary when we heated it up, but it definitely has a ton of flavor. 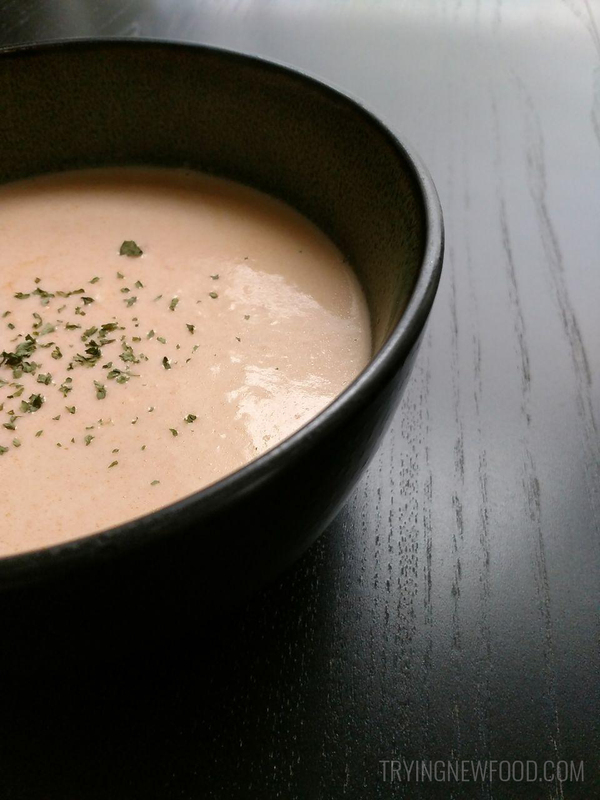 We’ve had lobster bisque at Red Lobster a few times, and this tasted similar to that. Because of that, I would highly recommend serving this with the Red Lobster Cheddar Bay Biscuit make-at-home box that they also sell at Target. Next time we buy this, we will be making the biscuits as well so we can pretend we’re at Red Lobster. Definitely two thumbs up on this one! There were shredded lobster pieces throughout the soup, plus it had a slightly sweet and buttery taste. Can’t wait to get this again later and make those cheddar bay biscuits. Probably will attempt to make a crab alfredo to complete the Red Lobster menu feel. Maybe I’ll even post the recipe here if it turns out okay! I noticed some people reviewed this and said it was too sweet and seafood-y tasting. Since I’ve only had the Red Lobster one to compare it to, they both taste pretty sweet to me. I was happy with the seafood flavor and smell. But I can see that it might not be everyone’s cup of tea. Definitely keep that in mind before buying this. 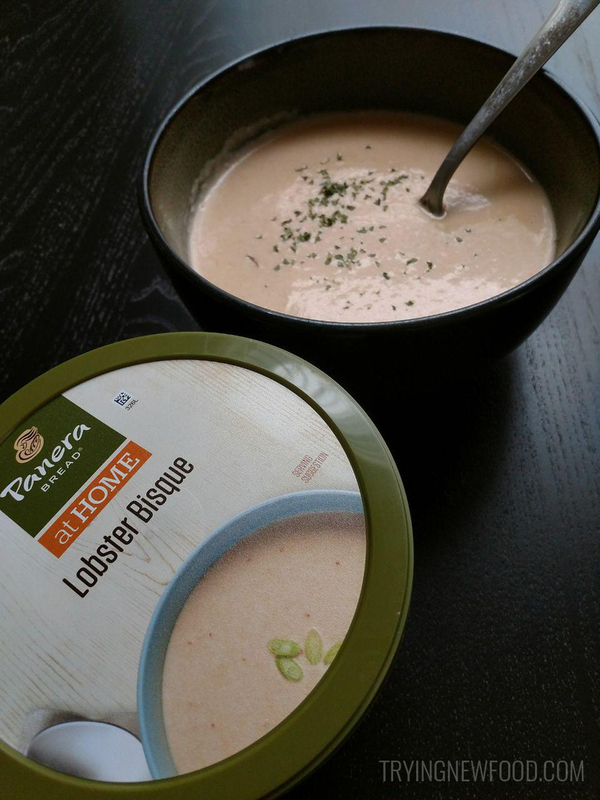 You can’t order the lobster bisque online, but you can purchase the cheddar bay biscuit mix at Target (Trying New Food is a participant in the Target Affiliate Marketing Program, an affiliate advertising and marketing program that pays advertising fees to sites that advertise and link to Target.com). If you end up buying either, let me know what you think! I will post a review for the biscuits whenever I get them next. I really like it after some adjustments. I would compare it to a version a restaurant called Cavanaughs in Indiana has instead of Red Lobster;I don’t care for Red Lobsters. I add some salt, pepper and plenty of paprika and then I’m in lobster bisque heaven!! !